This cosy 4 bedroom traditional Hebridean house is full of character and has been extensively refurbished. This property is available for Self Catering bookings all year round from August 2016. Staying at Tigh a Chaolais gives you a wonderful chance to enjoy a whole range of activities for all ages. Some of the best experiences like bird watching, trout fishing and days at the beach are readily available. 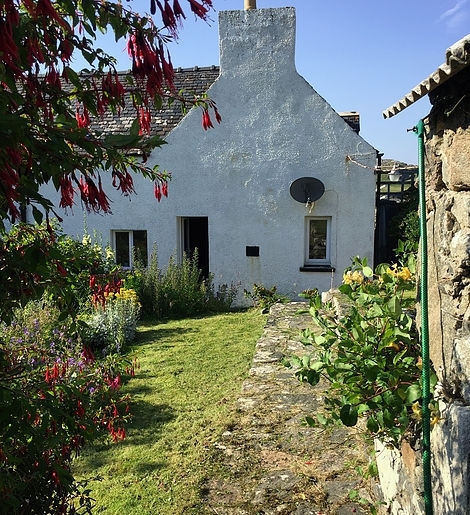 The house is currently being fully refurbished for Summer 2016 with a new kitchen, lounge, four bedrooms (one with en suite) and two bathrooms. The house will also be equipped with Sky TV, Wifi, dishwasher, washing-machine and tumble- dryer. The house also features an enclosed south facing walled garden.